Appropriately tapping into the gothic horror inflected sci fi of the Tom Baker era (and in particular the defining Philip Hinchcliffe run), author Nick Wallace (Companion Chronicles The Dying Light) crafts a particularly atmospheric vignette that pulls in elements as ostensibly far afield as Farscape, Alien and The Ark in Space, managing to slip in more than a hint of disgust at the base nature to which mankind all too often sinks in the name of jealousy and self aggrandizement. With the titular “ghost trap” drawing from the Native American lore of the spirit catcher, it’s clear that Wallace has some mileage underpinning his authorship, as he draws from a richer and more disparate vein of influence and effective mythos than tends to be apparent in a more youthful and contemporary author’s work. While I have no idea of the man’s age or background, its unquestionable that he’s at the least more well versed and patient than one tends to encounter of late, with a slow and deliberate build and construction that hinges far more upon quiet atmospherics than slam bang get to the point ADD explosions with poorly foreshadowed, underdeveloped expressions of faux pathos (think just about anything on television or in the cinemas over the past 20 years or so, and you’ll get the picture). And most tellingly, this is in the course of a barely 40 minute Short Trip! 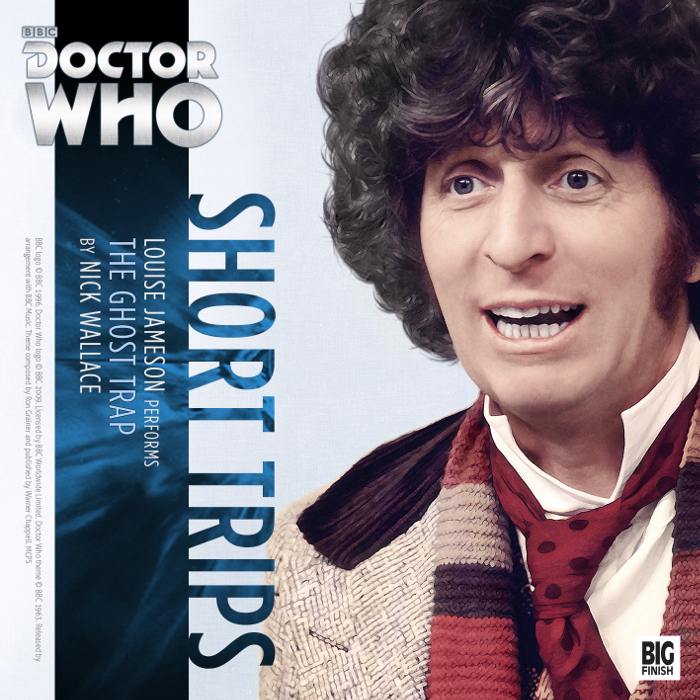 Louise Jameson handles the narration and acts out the story, Companion Chronicles style, under the ever deft hand of Lisa Bowerman. While more contemporary audiences may well find this one a bit slow of a build and lacking in the speed and bombast over style and substance candy floss sugar overload of modern day ‘entertainment’, fellow old school Whovians are well advised to give this one a listen.